I found Peter Williams up a ladder sawing a very large branch. He was using the kind of saw that rusts in my garage, is never used and would not cut butter. Surely he knew that a bow saw refreshed with a new blade was what he really needed? Wrong yet again! Modern blades are sharp and long lasting. 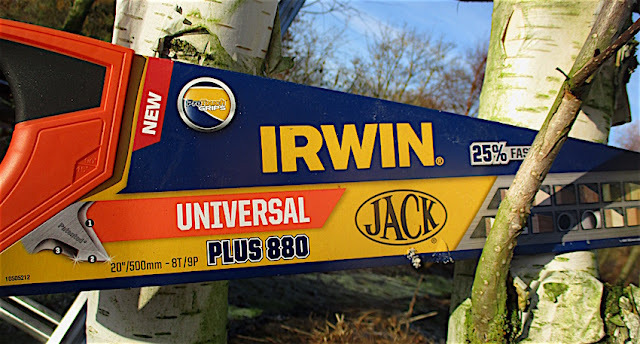 I took an Irwin back home and prune with a bow saw no more. The jack saw is strong, light and flexible. It is so easy to guide into awkward angles and cut close and cleanly to a trunk. (But remember you always need to cut to a neat shoulder for large branches). Pruning trees and sawing logs for the fire is now pure pleasure. The more I use this saw the more I like it and find myself using it in circumstances where I might have otherwise used loppers, secateurs or even my hedge trimmer. Here is a list. 2. 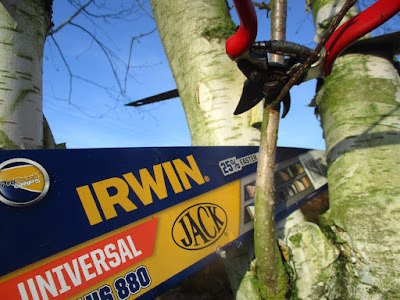 Cutting out larger branches normally taken out by loppers. Those in awkward places or needing to be cut close to a trunk. 3. Dividing herbaceous plants with tough bases such as bog irises or those with wiry roots like Lathyrus vernus. 4. 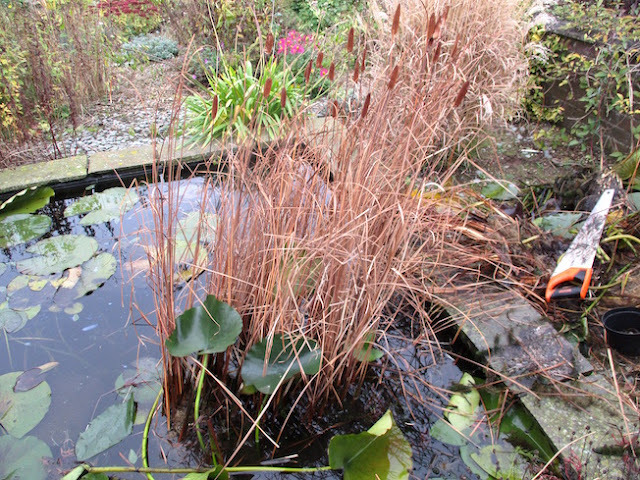 Cutting back certain ornamental grasses such as miscanthus when their leaves sometimes clog up the teeth of the preferred hedge trimmer. 5. Cutting back tough large petioles on such as phormiums or whipping out a gunnera leaf that has strayed. I preferred it to cut back thick clumps of asparagus this year.